Construction of the Northern Kentucky 9/11 Memorial is complete after 3 ½ years of fundraising and includes renderings of the Twin Towers that once graced the New York skyline. In the shape of a pentagon at the base, the Memorial pays tribute to five groups deeply affected on that historic day, including firefighters, police, the airline industry, civilians and the Pentagon. At the center of the Memorial is an authentic I-beam from the Twin Towers that was secured from Ground Zero by our firefighters and placed at the Memorial by Iron Workers Local 44. This Memorial was made possible by the generous donations of many companies and individuals. Continued support is still necessary. 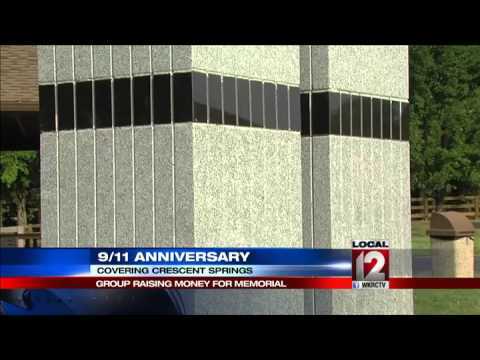 If you or your company have an interest in contributing financially to the Memorial, please make your tax deductible check to KENTON COUNTY VETERANS MEMORIAL (memo: 9/11) and mail or drop it off at the City Bldg, 739 Buttermilk Pike. 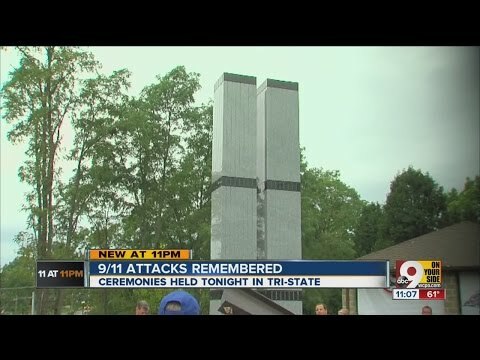 For more information, go to www.nky911memorial.org .